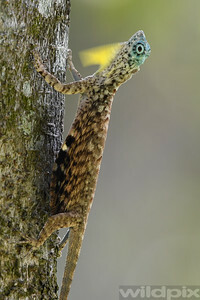 Draco with dewlap raised and ribs slightly extended. 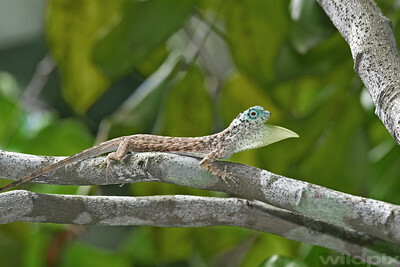 Dracos are lizards that can glide using extended ribs with folds of skin. 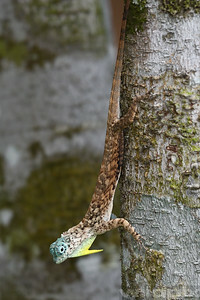 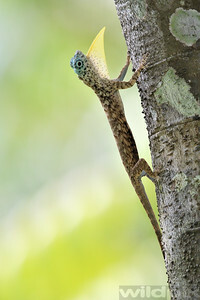 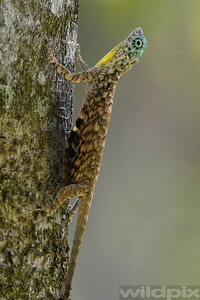 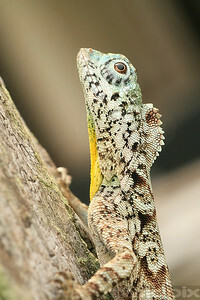 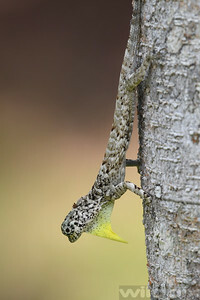 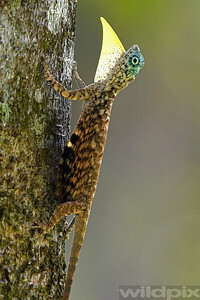 A male raised its dewlap usually in display to attract a female.